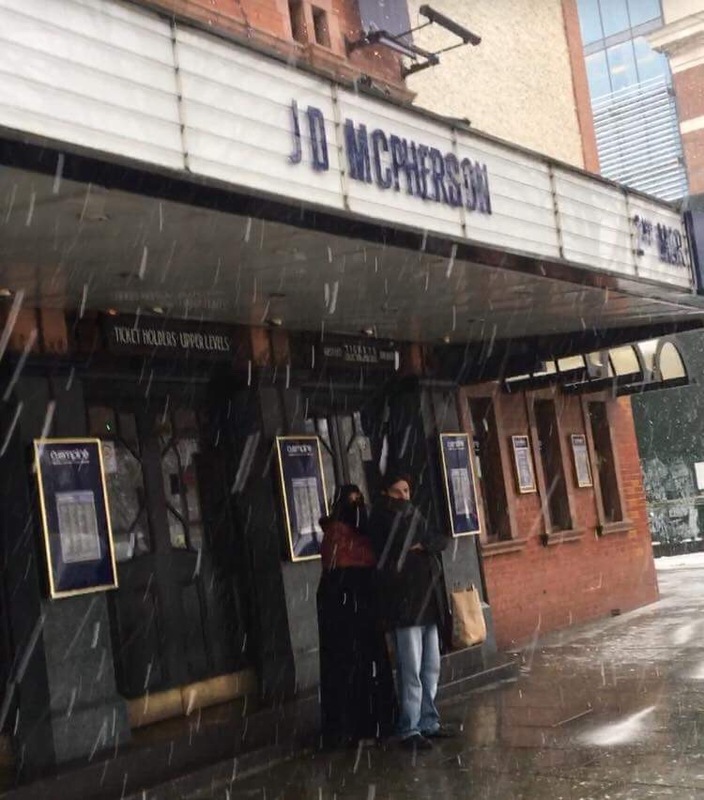 On a stormy snowy Friday at Shepherd’s Bush Empire we queued to see Mr JD McPherson – it was our first time seeing him and we were very excited. The empire was the biggest venue to date that he had played so you had the feeing it was going to be a good night. He didn’t sell the venue out making it quite an intricate show and almost no one had phones out recording or taking pictures for this show which very unusual but also a nice change. Supporting JD McPherson was Texas born Charley Crockett that’s with a ey and double tt, he impressed with his passion for music and his amazing “on stage” energy with his band playing to all his strengths showing the Texan flare. Charley on stage for around 30 minutes and the crowd loved him. As his entrance music played the anticipation of finally seeing this gentleman live grew and he didn’t disappoint. JD rocked and rolled the empire away showing impressive guitar skills whilst performing classics like North Side Gal and Let The Good Times Roll – wowing the crowd and getting everyone to have a boogie. I would certainly give JD as a recommendation to see live and we will certainly see him again. After the show both bands stopped for a chat and were very humbling and down to earth. JD had a picture with us despite the freezing cold conditions. Both acts have albums out and both have new ones on the way.